This course is designed for all personnel who work at height and those Emergency Response Teams who may be required to rescue a person from a height with the aid of ropes, harnesses and other associated equipment. 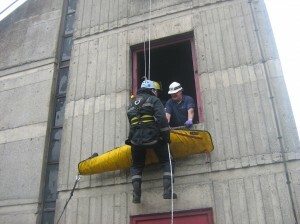 The course provides participants with the knowledge and practical skills, which will allow them to perform a rescue from height in a safe and competent manner. To provide participants with the knowledge and practical skills, which will allow them to perform a rescue from height in a safe and competent manner.